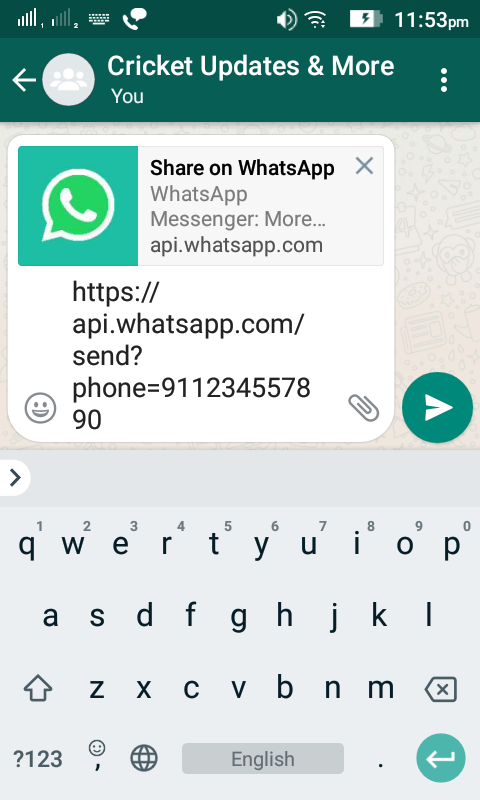 Step 1 : Just open any chatbox [chatbox is the place where you type something for chatting] , It may be a person to person or may be a group chatbox [It works in any place] even may be your mobile Message box . More clearly you can do it in your Chrome/other browser also . replace ‘number’ with your preferable number in International Format . 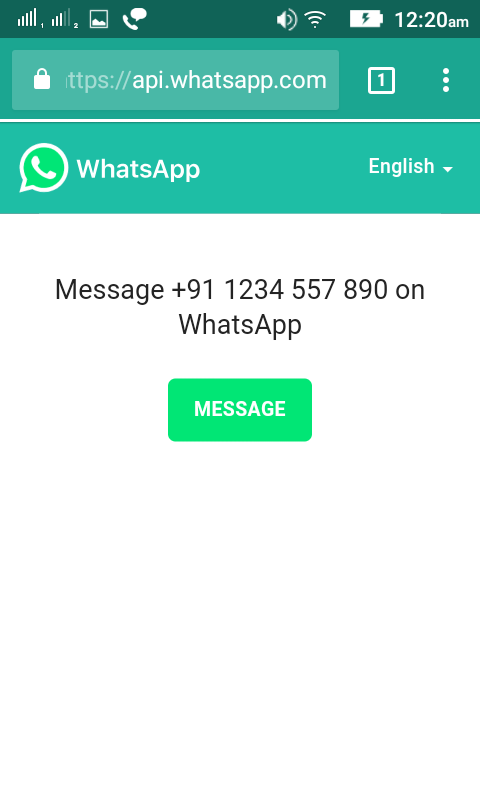 Write the country code without +, 00 or any other prefix . Don’t use any bracket in ‘number’ field . Step 3 : Now press the sent button to make the link workable . It looks like below picture . 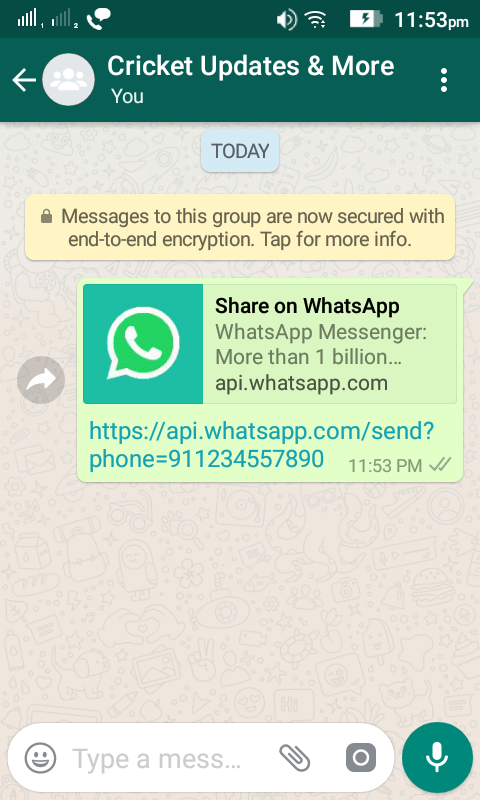 Step 4 : Now click on that link , It will open whatsapp . 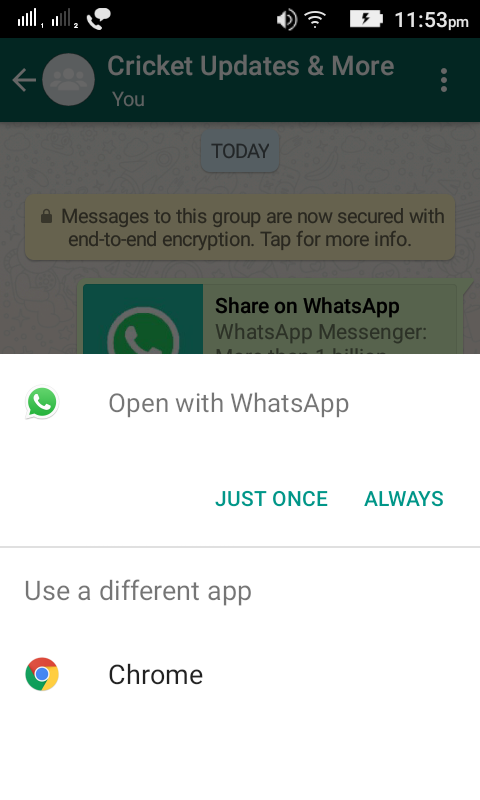 If it ask , then select WhatsApp . 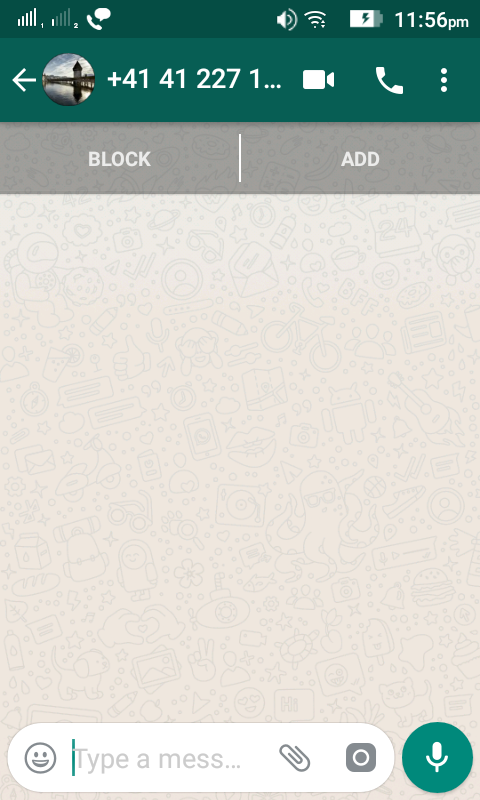 Those who do this in their mobile browser , will get below screen , click on ‘MESSAGE’ option . Now it’s done . 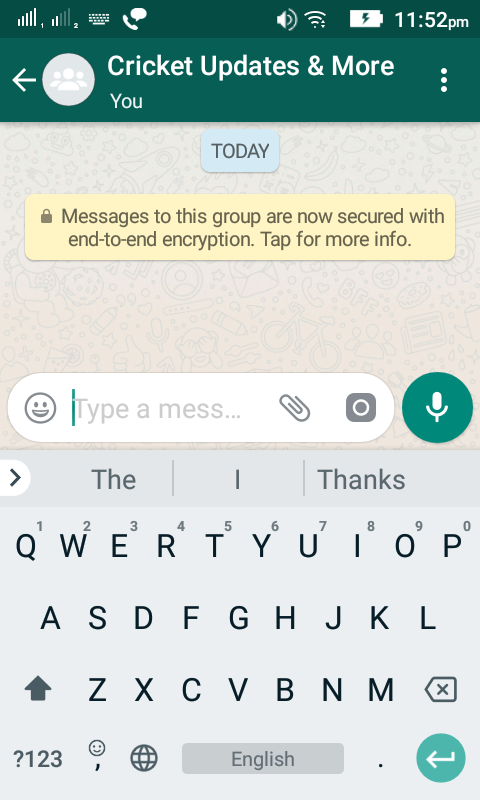 It will open a chat window like below . 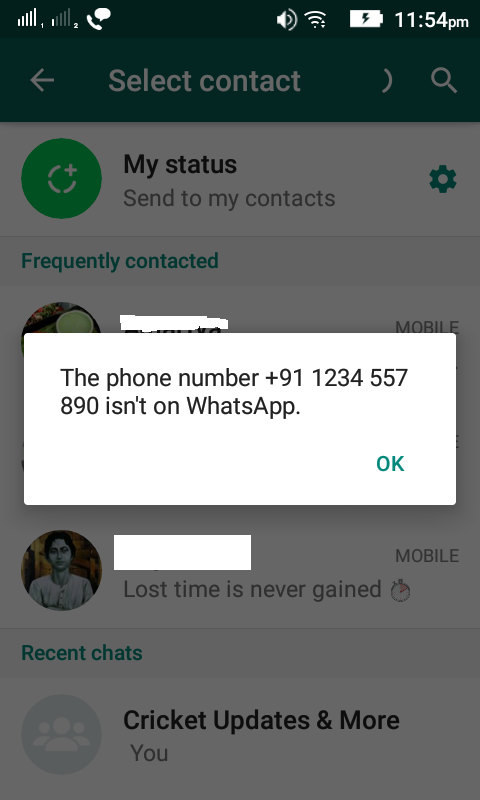 If the number is not in WhatsApp , then the error will show like below .